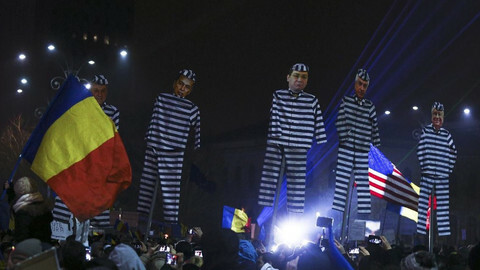 Two weeks ago, hundreds of thousands of Romanians took to the streets to protest against their government, which, with virtually no public debate, had amended the country's anti-corruption legislation. Many believe that the proposed legislation was intended to serve a few important politicians who had pending criminal investigations with the judiciary. The government held its position, despite being challenged with a motion in parliament. 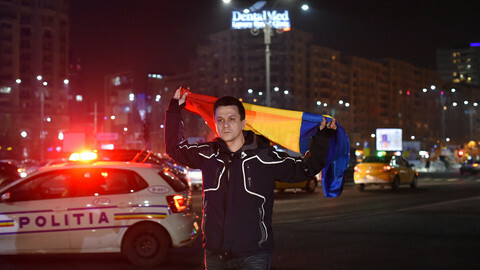 The only damage done was the forced dismissal of justice minister Florin Iordache and a repeal of the ordinance on Tuesday (21 February). All of this was a reaction to protesters on the street. Two weeks after the massive protests, the street has lost its super powers. People got tired of standing for hours in the frosty weather. 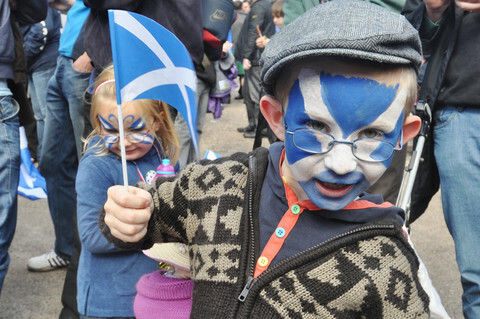 They are still angry but, somehow, hopes of having the government step down have been diminished. Only a few hundred people are still protesting in Victory Square every evening. Looking more like a resistance, as the Twitter hashtag #rezist affirms. For most of them, the fact that the government took a step back and cancelled the contested ordinance is a big victory, an important achievement. 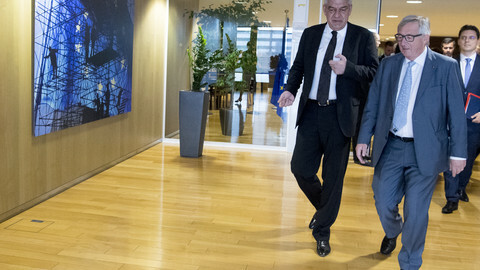 Last week, the serving prime minister Sorin Grindeanu came to Brussels, in an attempt to regain the trust of the European Commission. During a joint press conference, commission vice-president Frans Timmermans described Romania's anti-corruption efforts as a marathon. 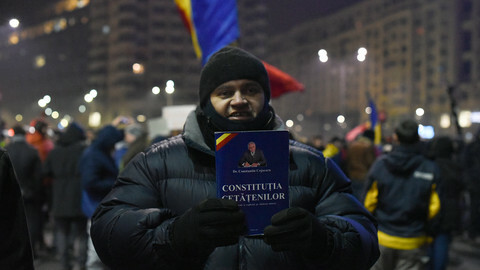 In Romania, people who know one or two things about the judiciary and the fight against corruption would call it an ultra-marathon, a never-ending run towards something that, for the average Romanian, still looks like a fairy tale where the country would have working institutions, a proactive administration and citizens as the main beneficiary. A good piece of legislation in the field of anti-corruption, followed by an efficient prosecution and seizure of goods obtained through corruption is needed. That’s what the EU has asked of Romania since starting the negotiation of its membership. The commission president, Jean-Claude Juncker, was even more specific. In his meeting with Grindeanu, he welcomed the Romanian government's decision to annul the emergency ordinance, which he said was "threatening to reverse years of progress”. Since his visit to Brussels, however, Grindeanu and his mentor, the social-democrat leader Liviu Dragnea, continue to repeat their message. In an attempt to avoid catastrophe, they justify the proposed legislation by saying that people did not understand its benefits. Alternative facts. We’ve recently been seeing that across the Atlantic, too. The social-democrats seem to have learned very few lessons over the last few weeks. For instance, Serban Nicolae, the head of the Senate’s judiciary commission, kicked the representative of the general prosecutor’s office out of a public debate. The message is clear: the current government remains strong after the recent battle. The blitzkrieg attack on the anti-corruption legislation had failed. Grindeanu and his cronies have regrouped, they’re on government-friendly TV stations and they’re still in total control. On the other hand, the National Anti-corruption Department (DNA) remains active despite recent accusations from a TV station, owned by former MP Sebastian Ghita who is now wanted for corruption. The DNA's chief-prosecutor Laura Codruta Kovesi have been linked to some allegedly corrupt politicians. Many VIPs are currently subpoenaed by the DNA headquarters, as was the case over the last two years. But a 20-year-old case involving around 1,000 properties in the center of Timisoara, western Romania, might give Grindeanu a headache, since he was once the deputy-mayor of the city. To complicate things even more, many judges from around the country are issuing decisions to set more and more people free. People that have been convicted for "abuse of power", the main grounds for prosecution used by the DNA over the last few years. The decisions are based on a Constitutional Court ruling issued last June that only allows abuse of power to be considered a criminal offense when the felon acted against a law, and not against less important rules such as government or local council decisions or contracts. The breach of less important acts should be punished by civil or administrative law, the court explained. After that decision, the leaders of the social-democrats said that the abuse of power, in any form, has simply disappeared. Meanwhile, the chief of the DNA Laura Codruta Kovesi, argues that the judges’ decisions are wrong and threatens to take steps to overthrow them. This is more than just a marathon race, with runners, times and distances. 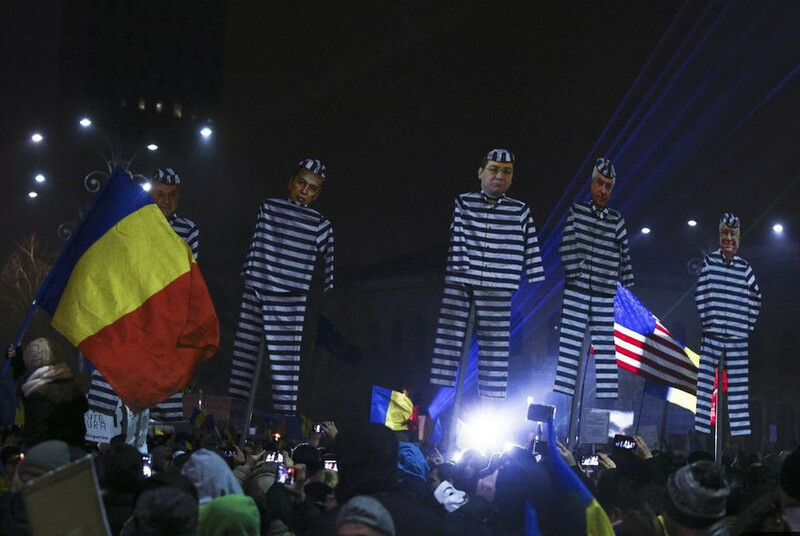 Romania is more like a battlefield field these days, after the blitzkrieg on anti-corruption. Everyone is waiting for their opponent to make the next move. The most important politicians seem willing to try again. 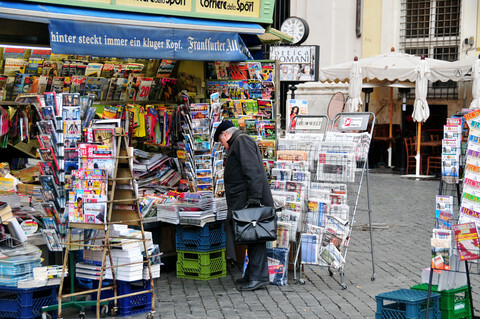 The people on the street have been weakened but some are staying focused, since they no longer trust their government. And the prosecutors, the “armed force” of the judiciary, are back in the game. On top of it all, with the permission to hold a referendum on unknown “anti-corruption issues”, president Klaus Ioannis is waiting for the proper moment to announce the details. Ovidiu Vanghele is a journalist, founder of the Center for Investigative Media in Bucharest and is also the coordinator of Factual.ro, the most important fact-checking platform in Romania. Current anger over corruption laws can be traced back to a night-club fire in 2015, when many died because of lax safety standards. 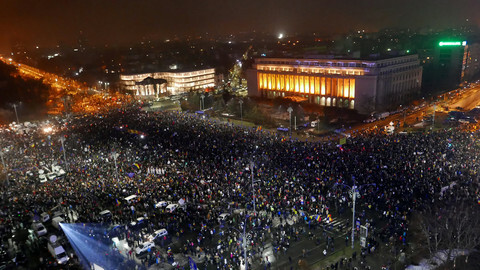 Romanians then realised that corruption can kill. Protesters persisted even after the social democratic government backtracked on a controversial decree to decriminalise some corruption offences, with many saying they lost trust in their leaders. "Let’s not repeat the mistakes of the past," said the new Romanian prime minister, Mihai Tudose, in Brussels amid EU Commission warning on corruption. "We are paid as if we were a country of unqualified workers". Union leaders and labour rights experts reveal, in figures, the catastrophic consequences of the laws that have turned Romania into the country of the working poor.